They called a desperate Kentucky man as his house was foreclosed, and took his life savings. This is an every day story in industry -specifically Florida-, telemarketers dial timeshare owners from behind blacked-out windows avoiding public view. They promise that for a fee, upfront of course, they can achieve the impossible dream: Sell an unwanted timeshare. There are claims there is other buyer on the line and explain methods that induce clients to believe it is a guaranteed sale. Owners hoping to sell their timeshares and avoid future maintenance fees trust foreigners and get nothing in return. Timeshare resale schemes have become the most rampant form of consumer fraud in the south-eastern of US. Florida AG received 964 complaints against Timeshare resale companies in 2008. Then, 2,929 in 2009. then, 12,257 in 2010. The department renewed license for timeshare resale that were fined or accused of fraud by timeshare owners. A financial expert said: "timeshare ownership is a trap from which there is no exit." 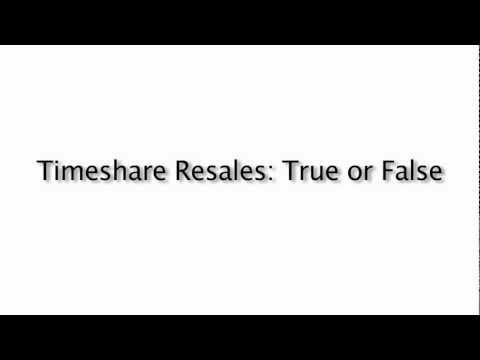 Timeshare resale companies have used this to their advantage. They know owners are desperate to sell their unwanted timeshares and act upon. In June 2012, a woman in a humid, air conditioned office in Vallarta, Mexico, called a 57-year-old semi retired paralegal and mother of two kids in college named Megan Weinsorgh. Weinsorgh owns two timeshares, one in Mexico and the other one in Florida. she spends roughly $1,400 yearly on maintenance fees for timeshares she can´t use regularly. The woman said her name was Jennifer Watson, He worked for Sierra Resales and said he had a client interested in both her timeshares. The catch: Watson asked for $3,500 on transfer fees. Megan questioned the woman. She didn´t have the money and was hesitant to use her credit card. Watson assured her the proceedings from the sales would be coming in less than a week after payment was made. That was the last time Weinsorgh spoke to Watson. Calls were unanswered. This story repeats itself -with different names- almost 40,000 since 2008 across America. Timeshare scams are cyclical. They are increased during tough economic times. The only way to prevent this is educating timeshare owners. Timeshares are expenses the only possible way to get any money back from a timeshare is by cancelling it and recover your deposit. Can this be performed in all cases? "No, but if there is a way to recover our client´s money I will sure find it." timeshare cancellation expert says. If you are tired of owning a timeshare that does not suit your travel needs, is no longer affordable to you or you simply don´t want it anymore, contact Mexican Timeshare Solutions for a free consultation on how we can help you cancel your timeshare and reinstate the financial freedom you need. Gracias por compartir este articulo , he de decir que es incalculable el dinero que estoy perdiendo con mi resort en mexico , sobre todo con la compañia que segun se haria cargo de cancelarme el tiempo compartido , han pasado 9 meses y aun no puedo librarme de el. En mi caso fui estafado , no me dieron nada de lo prometido , ahora debo no hayo que hacer con las cuotas de mantenimiento que estan por los cielos cada ves mas..de verdad que necesito como librarme de esas personas, ya me puse en contacto con abogados pero ni uno me ha podido ayudar, espero ustedes si puedan estoy desesperado , gracias. Hello there, come on people, timeshare sellers only want to convince you all coast to buy something , to sign the contract , so if you want a good advise, just dont go to a timeshare presentation avoid that please, stay far away that people , damn scammers..
Been caught there before. The annual evaluation of weeks this time of year can change the previous value of a week that you deposit. Could go up, down or stay the same by the time it gets verified. Weeks get revalued every year, both deposit value and exchange value required. Until recently, my wife and I had owned a time share. We stopped paying the maintenance fee last year because we are scaling back our traveling. I offered a deed in lieu but it was not accepted, so we gift-deeded the property to an individual hoping to avert any further billings of the maintenance fee. Because we are senior citizens and own our home free and clear, we are not concerned about credit ratings. Do you see a problem with this method of letting the time share go? Thanks for spelling out the costs and risks of a timeshare. I’ve always heard they are bad investments, but never really the details of them. I agree. Everyone but the sales person gets to kind of play “good cop” but they’re a part of the horribly unpleasant customer experience. I know we all need a job but that’s not one that I think I could stomach!